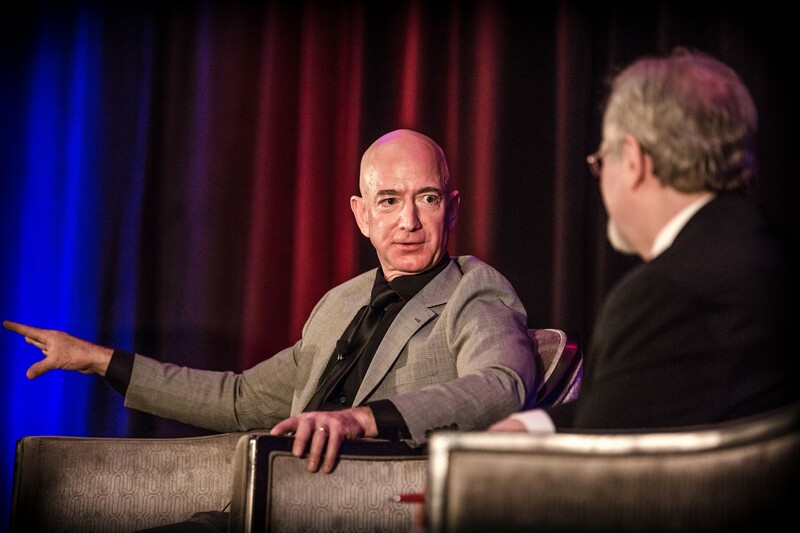 “We will have to leave this planet, and we’re going to leave it, and it’s going to make this planet better,” Jeff Bezos, the founder of Amazon retailing giant and the Blue Origin space venture, told me here on May 25 during a fireside chat at the National Space Society’s International Space Development Conference. Get the full transcript (and podcast) on GeekWire. This entry was posted in GeekWire and tagged Blue Origin, ISDC, Jeff Bezos, Space. Bookmark the permalink.